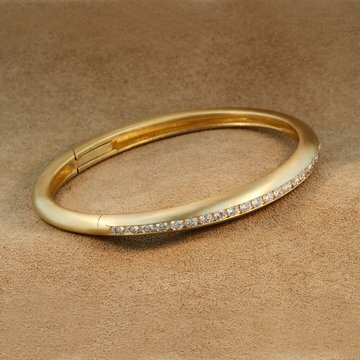 Diamond Eternal Bangle 14k 2.10ct. I don't know if this photo does it justice, but this new Eternal Bangle is the nicest one I've made. There are more than two carats of select diamonds set across the top. The hidden mechanism gives a sleek feel and nothing to snag or bend out of whack. 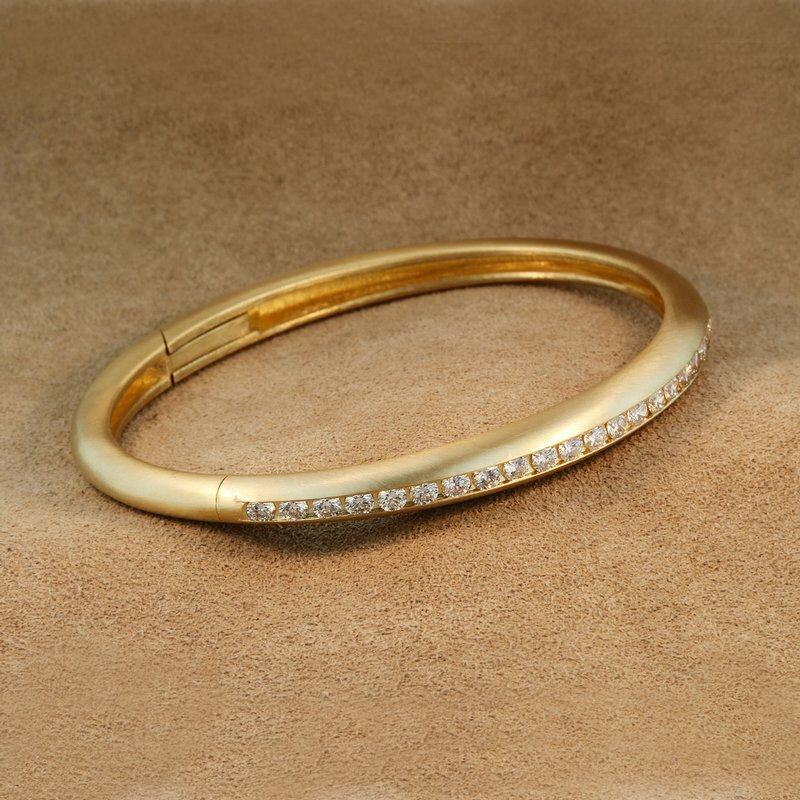 Because it is made with about five times as much gold as the usual commercial bangle it is largely dent-proof. This is one of those milestone pieces that is suitable for an important anniversary or noteworthy birthday. It will outlast all of us. If you are thinking about something special... something that you know you deserve, I think that you should come for a visit and try it on. Then you'll know. Priced at $8850, please call for this item!